No man is an island unless you’re La Joya Mayor Jose “Fito” Salinas. Following his bold announcement that the city would no longer honor requests by U.S. Immigration and Customs Enforcement to hold people in their jail who were suspected of being in the country illegally, officials in neighboring cities are in no rush to follow suit. That’s because many of those cities, if not all of them, rely on state and federal funds that are granted to local municipalities on the condition they cooperate with state and federal officials. “When we apply for federal grants, there’s a letter saying that you’ll participate with ICE as far as them coming in and talking to people that you have detained,” said Richard Ozuna, Sullivan City’s interim city manager and police chief. Ozuna said the police department relies on federal funds, received through the Operation Stonegarden program, to pay officers for overtime which, in turn, allows the department to have more officers on the road. That participation requires honoring ICE detainer requests which, in practice, involves ICE agents asking the city if they have anybody in custody and if there is, agents talk to them, according to Ozuna, likely to determine if they’re in the country illegally. If ICE does suspect someone in custody of being in the country illegally, the agency will place a detainer on them. If the person is there on a misdemeanor offense, ICE will pick them up, Ozuna said, but if it’s a Class B misdemeanor or above, they’re taken to the Hidalgo County jail. In making his decision to not comply with ICE detainer requests, Salinas said he was motivated by his opposition to President Donald Trump’s controversial “zero-tolerance” policy which resulted in the separation of migrant families upon their entrance into the country. Trump has since ended their separation through an executive order last week instructing that families be detained together. Despite the outrage over the president’s policy by people from both side of the ideological aisle, City Manager Omar Romero said refusing to comply with ICE detainer requests is not a move their city would make. While Stonegarden is a federal program which funds joint efforts between local law enforcement, Customs and Border Protection and Border Patrol to secure the border, Border Star is a state grant program meant to support interagency law enforcement operations, as well as support local law enforcement patrols, in order to deter and interdict criminal activity along the border. The city of Peñitas does not have their own jail but instead partners with cities like Sullivan, Mission and Palmview to detain suspects. However, Romero added that he does not intend, nor does he believe the city council intends, to take any stance that could jeopardize funding, safety, or security within the city. 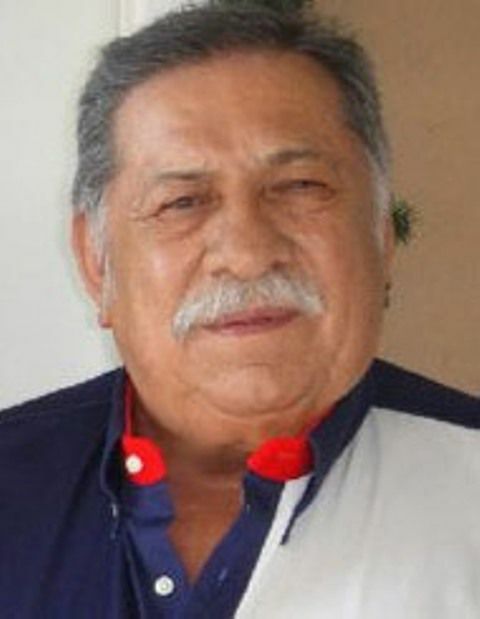 Palmview Mayor Gerardo “Jerry” Perez echoed that sentiment saying that though he disagrees with the treatment of migrants, he wouldn’t take the same position La Joya’s mayor did. Palmview neighbor to the east, Mission, also receives Stonegarden funds. Mayor Armando O’Caña said the city had no comment on La Joya’s decision but said there were no plans to change anything within Mission. While those grant programs allows them pay officers for overtime work, as previously mentioned, they are meant to fund joint efforts between local, state and federal law enforcement agencies in border security operations.